The Medio is perfect for those looking for an achievable challenge as well as families and groups of differing abilities. Medio riders will start in Whistler and cycle southbound down the Sea-to-Sky corridor before venturing up to the spellbinding vistas boasted along the Callaghan Valley. And with a protective neutralized rollout keeping speeds limited to begin with, you’ll be kept safe. Including 55km and 800m of elevation to enjoy, there’s a well-stocked rest-stop up at the Whistler Olympic Park to collect your friends at before the sweeping smooth downhill rejoins you with the main Gran Fondo field for a grand procession back up to the cheering crowds at the finish line in Whistler. Electric bikes are massively growing in popularity as the technology allows more and more people to become active, get into cycling and move around in healthy ways. 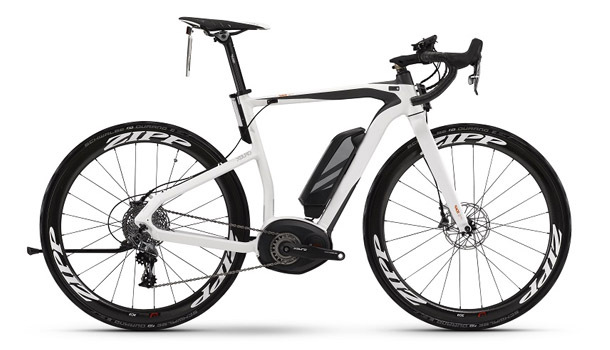 New for 2019, e-bikes are permitted into the Medio category. e-bike riders won’t get an official chip time, but they will start in the same corral as the Medio and ride in the neutralized roll-out while travelling south down the Sea to Sky highway. At 55km distance, ebikes won’t need to be re-charged during the ride, letting you simply enjoy the ‘Fondo experience in a safe, welcoming environment. The Medio is convenient. With a 9.15am start time, you can travel to Whistler on Friday and enjoy two night’s stay, both waking up refreshed to ride and then getting to enjoy the many activities offered in Whistler on Sunday. Book 2 Medio registrations and 2 nights at the luxurious 5* Four Seasons Resorts & Residences Whistler combined for $1000 total. Your stay includes a Superior Room with a King bed and pull-out couch (both super comfy, we can attest!). The Four Seasons Whistler is located a convenient 5 minutes walk from the Medio start / finish line. It’s designed to give you both a stunning course and unmatched convenience so that all your friends and family can join in. Starting with the option of transportation on Friday from Vancouver to Whistler, spend your Friday night in Whistler and wake up fresh. After experiencing the unique Callaghan Valley route, you’ll rejoin riders from other categories cycling from Vancouver, letting the photographers capture the glorious moment you all cross the finish line together. Our Medio 55 km route is the perfect way for everyone to share an amazing weekend experience, whatever your level of cycling. 2019 transportation to be released later – join our newsletter to find out when.